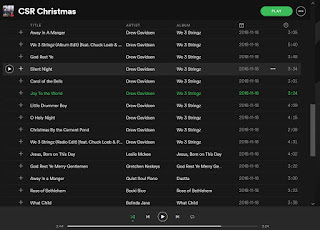 Playlist - The New Album? 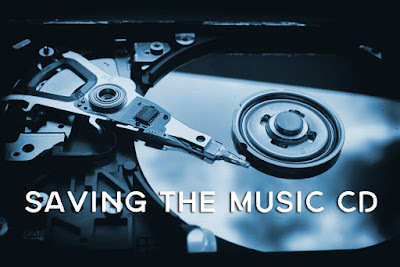 As I have been helping artists create singles more and more the past few years, as well as creating them for our music licensing company Positive Spin Songs, I have noticed that the album isn’t quite what it used to be. In fact, perhaps we need to stop thinking about the “album” or “EP’ at all. Maybe instead, we should look at “playlists” as our new way to collect our songs. For over 100 years, we’ve been presenting collections of songs in a finite form. It’s been called a record, a cassette, an 8-track, a CD, and now a digital album. It’s also gone by names like “EP” (which is usually a smaller collection of songs that came from the Extended Play CD releases of the 90s), or “Best of...” or compilation releases. But what if an album or collection of songs didn’t have to be "finite", or fixed? What if the collection could be fluid, with changed lineups or orders, remixes, reproductions, or new songs that fit the collection? I recently updated a jazz album from Player A called “Our Own Devices”, and released an EP called “Devices, Techniques, & Mechanisms”. It had new mixes with added beats, replayed parts, and even new songs that were supposed to go on the first CD but didn’t get finished in time, or went on other projects. If I had been thinking in a “playlist” way, I would have just added the songs to the Our Own Devices Playlist on Spotify and Apple Music. Then sent the new playlist around to social media, email, etc. I even considered a reprint of the CD, but have so many CD copies in the garage, that didn't seem feasible. In all reality, we should be focused on people LISTENING to the music. The truth is that the majority of music streamers, or listeners of digital music do so via playlist or suggestion. So we better be putting the versions of songs we want in our own playlists and offering it to people as much as we offer our old album or EP. For those of you making CDs for gigs, performances, or other live opportunities, maybe think of making smaller batches of 50 or 100, with just the songs you want on the CD. Maybe you update them from time to time. Maybe the art changes, or the songs do. Maybe there are remixes. For touring artists, this may not make as much sense, as CDs can be new to each new audience. But for artists who play locally and regionally, or the same audiences consistently, they may also want new or different versions. Maybe you make live versions from performances (hey it works for the Grateful Dead). Maybe you have your mixes updated every five years or so, or add a song or remix to the collection. For artists who tour, what if your album changed slightly every few years, inviting people who had an older copy to buy the new one, or even exchange it for a new signed copy with more or updated material? Whether it’s just updating your collection, remixing it, or adding new songs, we have to provide constant NEW content to our audiences. This is important no matter what kind of art you make. Music allows us to reinterpret not just other people’s songs, but our own as well. This idea of playlists isn't just for Spotify or Apple Music, but also for SoundCloud, YouTube, and more streaming and tech that may come out in the future. Like authors print books on demand, we may print CDs on demand for live sales. These CDs can change with each release. Some of you may say, "But making a piece of art is just that. If it's the perfect album, why ruin it?" I probably would have agreed with you a few years ago. But we have to embrace new technology and the way people absorb music. Younger people who listen to malleable, always changing playlists aren't magically going to desire hard copies that are set in stone just because they get older. It came to me yesterday as I was thinking about writing a blog post about the CD. Why is this music format dying when it is certainly a better sounding product than MP3, and it’s something you can hold in your hand. It's something you can really own. But is it special enough in a day and age when every song is at your fingertips on any device? And why is the CD section at Walmart and Best Buy tiny, but the section for DVDs and BluRays is HUGE? Ask anyone what they think of CDs and you will get dozens of different answers. Here are just a few from a recent informal Facebook poll to people inside, and outside the music industry, professionals, semi-professionals, and plain old music lovers. “I still like CDs, still use them and still buy them. I'm a bit old school this way. So much is online and digital nowadays, that I find it refreshing to have a tangible, physical product to handle." "I pretty much only buy a CD - signed if possible - at live performances. Then I stream or or rip the CD on my computer." "I still like them because they are tangible and they sound better than mp3s. Plus the liner notes are still used in some." "I'm one of those people who still like to hold something in their hand, read the liner notes, and look at (and sometimes critique) the artwork." "I use Spotify as the “audition process”, and to keep up with what’s current. However, anything that is IMPORTANT to me, I buy a physical copy on disc for 1) quality and 2) liner notes. Same process with movies and DVD/BluRay." "It’s not dead. Not everyone uses the internet for music. I am still designing CD packages for tons of clients. Many artists still need for merch at shows, and tangible product for release. In the personal realm of live bands I frequent with long time devoted fans, the fans love the digital downloads, but they also love the tangible merch, CDs, Vinyl, and box sets, etc. for collecting and for practical listening." "I read that soon Apple will be phasing out direct download sales and doing only streaming." If you read between the lines of these quotes (about a tenth of what I actually got), you can see some ways that the compact disc could be saved from oblivion. People still want something tangible. In Japan, the CD business is still booming because their culture values the tangible as well as the intangible. Artists still must have a way to physically sell or give people their music at their concert or as an example of their work. Those CDs may be ripped and thrown away, but at least the artist makes something or achieves a fan because of it. There are rumors that Apple is considering phasing out iTunes and download sales in favor of concentrating on streaming. We all know Apple's readiness to move on to new tech even though many still like the old tech (goodbye headphone jack!) But ther is data that says this could be in the future. After years of download outpacing physical sales, the tables are turning. Digital download sales are falling faster than physical sales. This in itself may help the CD (and vinyl LP) continue to be useful in the future. And if there are only two ways you can get music (streaming or physical) then more people may choose CDs and vinyl. Sure, some cars may not have CD players anymore and pair easily with phones. But Playstations, Xboxes, BluRay Players, and more all still being made every year by the hundreds of thousands and STILL play the CD format. Plus, even in my 2015 car with Bluetooth tech, there was a CD player. And every car before that! Plus people still have use and buy stereos and boomboxes. Despite the overwhelming techie people I got responses from, not everyone is up on the latest technology. Don't forget about half of the people out there don't know or care what Spotify even is! They are going to have a way to play a CD and still buy these units (as well as even VCRs!!) at flea markets, thrift shops, etc. If you’ve been to any Best Buy or Walmart you know that CDs occupy a very small section, but video titles are everywhere. I think there is a very big reason for this: You get more when you buy a video. Think about it. With a Blu-ray or DVD you not only get the disc (or two discs), you also usually get a free download of the movie, you get tons of extras like gag reels, deleted scenes, commentary on how they made the movie, behind the scenes features, games, and more. So if you take all the reasons above, especially the last one, and add them together, there is a simple and elegant solution to how CDs can make a comeback. It used to be enough in the 80s and 90s to buy a CD because the sound was so significantly better than terrible cassettes, the radio, or our old scratched up LPs. But that is just not enough anymore. The very nature of the CD needs to change. Just like DVDs and BluRays offer you more than you get if you watch the movie on Netflix or rent it somehow, CDs need to include extras that you can't get on Spotify or iTunes. This isn't a new thing, but it needs to be a new standard! We need to have songs, and alternate mixes, and instrumental mixes that are only available on the CD. Also, we should be giving away FREE downloads inside every CD. Not sure if it's a download card or code to CDBaby or a private code to Dropbox for the MP3s of each song. It doesn't matter because it's easy to rip the songs off the CD (and most people throw it away then.) And why not, they bought the physical version, they should have the digital easily for that purchase. We need to make art for the CD (even the cover) that is different and unique from the art we use for digital sales and streaming. Unique art that people may want to keep because they can't get it anywhere else. Similar to how they like to keep LPs because they are unique art pieces. Maybe our CD packaging needs to change to something larger? Something that rivals the size of vinyl that can be displayed. Maybe we also include a DVD with music or lyric videos (with links to downloads or YouTube links.) Yes it may be more expensive, but are we trying to sell a product that people want? Or just a physical version of what they can already get online without any extra effort or space or waste? Folks, one of our main problems in this world is there is starting to be a lack of scarcity. At first it seems like a great thing to have anything you want anytime you want it. But if you do, then nothing is worth anything. 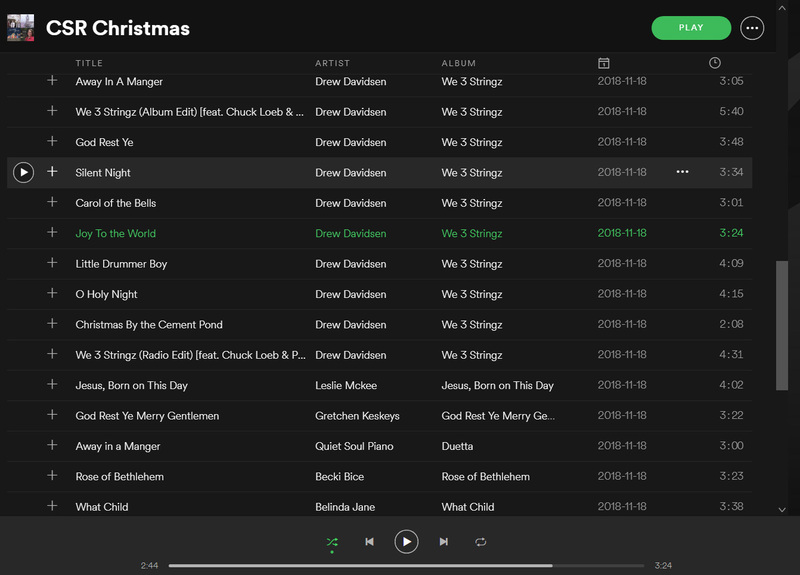 But if something is scarce, and there are only 100-1000 copies of this unique thing you can't get on Spotify, iTunes, or any other digital service, THEN we have a special product that may be in demand again. Not JUST a CD with the songs (that is exactly what you'd get from the service you already pay), but a different product you only get from buying the CD. THAT is why people wait for the BluRay sometimes instead of even going to the theater!! THAT is how your Special Edition CD that's only available at your shows, or at Amazon, or CDBaby, or your web site will sell and people will not just say "Nah, I can just stream it." Every CD project that comes out from Creative Soul Records, Creative Soul Jazz, or our other entities will be "Special Editions". They will include download links to every song. They will feature extra tunes, alternate mixes, and instrumentals that aren't released to digital service (either for a limited time or forever.) They will have unique cover art that is not released online to the digital services. They will be "special" and your fans will want them because they can't get these extras online. I think this is the way we can save the CD format. How Do We Listen to Music the VERY Most? In a poll of over 100 people from our various music brands, we found out what we pretty much suspected. We are moving towards streaming more than ever. In our poll music streaming dominated the way people listen to music. Spotify itself was the most popular listening method at 23 percent, MP3s you own was second in overalll percentage at 15%, and third place was the venerable car radio, but only at 13%. 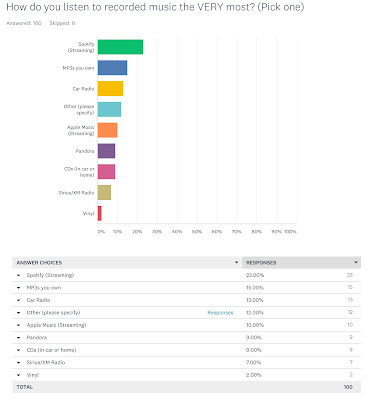 However, if you add Spotify (23%), Apple Music (10%), Pandora (9%), as well as those who specified another service such as Youtube, Google Play, or other streaming services (around 10%) that brings the total for streaming to a slight majority of over 50% who answered who listen to streaming the MOST. More than half of the respondents use streaming services the VERY most to listen to music these days. Now this may not surprise many of you. Streaming is easy. We’ve always used whatever is easiest. Radio was easier than going out or playing it yourself. 8-tracks were easier than Albums. Cassettes were even easier, then CDs. Then it was easier to download and listen on your iPod or phone. Now streaming allows us to have almost any song at our fingertips that has ever been recorded. Radio still has a sizeable audience in this poll, with 13% saying they listen to car radio, and 7% listening to Sirius Radio. So that’s about 20% that still listen to radio. Not bad for 100 year old format. MP3s people own was a respectable 15%, and CDs are hanging in there with just under 10%. For those of you wondering about the vinyl reawakening...only 2 people out of 100 said they listen to vinyl the most. I heard recently that sales have kind of peaked on that comeback. With only a hundred responses this is far from comprehensive (as is any poll.) And I also know I asked for what people listen to the VERY most. I actually probably listen to Sirius radio the most (mainly because they have jazz, sports, and classical channels), but also my own MP3s, then Spotify, then CDs pretty much in that order. But usually, to be honest it’s whatever is easiest. If my Bluetooth or USB connects in my car and starts playing my MP3s, then I listen to that. Or if it starts a Sirius radio or podcast I was listening to, then I let that play. Heck, if the jazz radio station is clear of static sometimes I just let that play. But this survey shows that given the choice, more than half of the respondents prefer streaming these days and the next purposeful choice is far behind. For the working musician, composer, or artist hoping to find income, streaming is likely your best choice if not now, then in the future. Rates they are paying are rising all the time. While the music business was at first skeptical (but certainly hopping on board early), they are now seeing profits rise thanks to streaming. The trick will be for independent artists and labels to see this same payoff. The fact that people are embracing streaming means we have something to focus on. There are tools for getting on playlists, tips on how to make your own playlists, and ways to engage your fans on Apple Music and Spotify. There are already “middlemen” promoting music to streaming services and playlists. My bet is streaming listenership will continue to rise...until the next thing comes along. 2018, Cre8iv Entertainment, Inc.. Awesome Inc. theme. Powered by Blogger.